With a background in her first love, mathematics, Wende Mix, associate professor in the Geography and Planning Department, is well-equipped to be an expert in using census data. But before diving into the information the Census Bureau provides, Mix suggests a few simple steps. “Know which database to use to get the information you want,” said Mix. “The Census Bureau collects and maintains data from several surveys every year. The Economic Census provides business data; the American Housing Survey provides information about the square footage of housing, how many bathrooms, and the type of structure.” The Census Bureau identifies 130 surveys taken each year. “The American Community Survey is the most widely used,” said Mix. “It replaced the long-form census, and, if you receive it, you’re legally required to complete it.” The Census Bureau’s mission is to “serve as the leading source of quality data about the nation’s people and economy.” according to its website. The Census Bureau uses the American Community Survey to produce three different reports every year: one for the current year, a three-year summary, and a five-year summary. Understanding the language used by the Census Bureau is also crucial, according to Mix. The bureau publishes the Geographic Areas Reference Manual as a guide for finding and using data correctly. Mix explained that there are two basic ways the bureau organizes information. One is a hierarchical system that drives from four major geographic regions of the United States down to a “block,” the lowest level in the hierarchy. 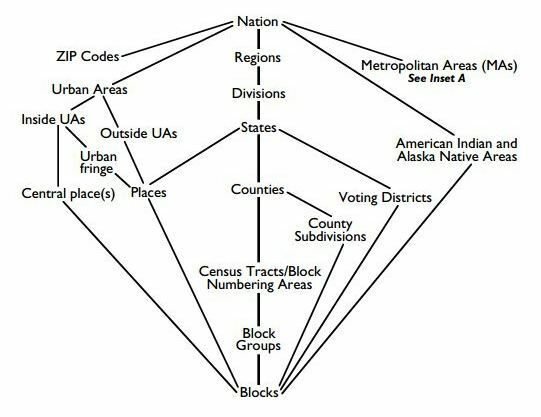 Expanding on the hierarchical system is a place-based system, which includes urban areas, cities and towns, and census-designated places. Other ways to get information include zip codes and metropolitan areas, which must include at least one urban area with 50,000 or more inhabitants. “The data reflect the complexity of the country as well as its size,” said Mix. 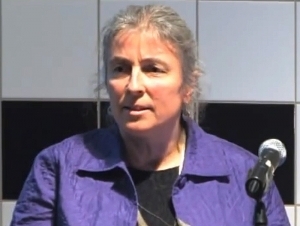 Mix did independent studies in calculus during her senior year at high school before earning her bachelor’s degree in math at Mount Holyoke College, a master’s in geographic information systems (GIS), and a Ph.D. in civil engineering at the University at Buffalo. She worked for the U.S. Department of Transportation, Bureau of Transportation Statistics, and she has been a resource for journalists using census data.